You are cordially invited to join us in the glow of the Great White Way for a night of food, fun and frivolity at the Ted Lewis Club. 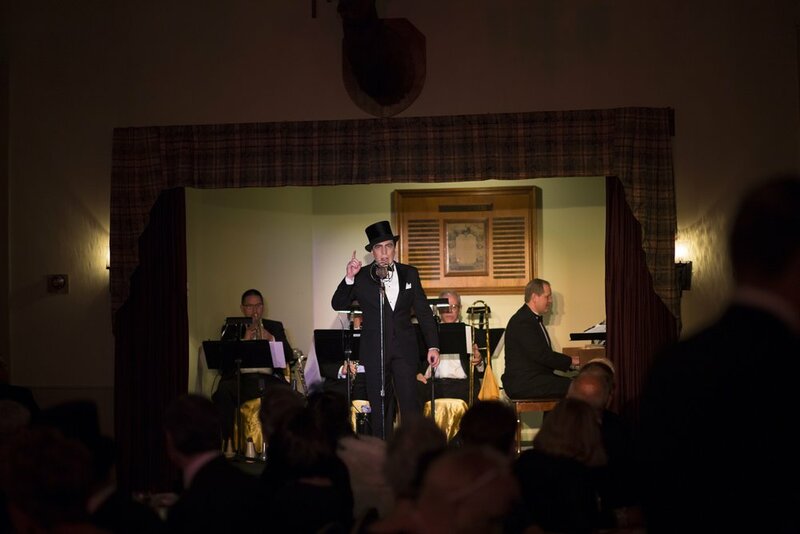 Dance the night away to the music of "The King of Jazz" Ted Lewis and his Jazz Band featuring Joseph Rubin and Earl Fuller’s Rector Novelty Orchestra. 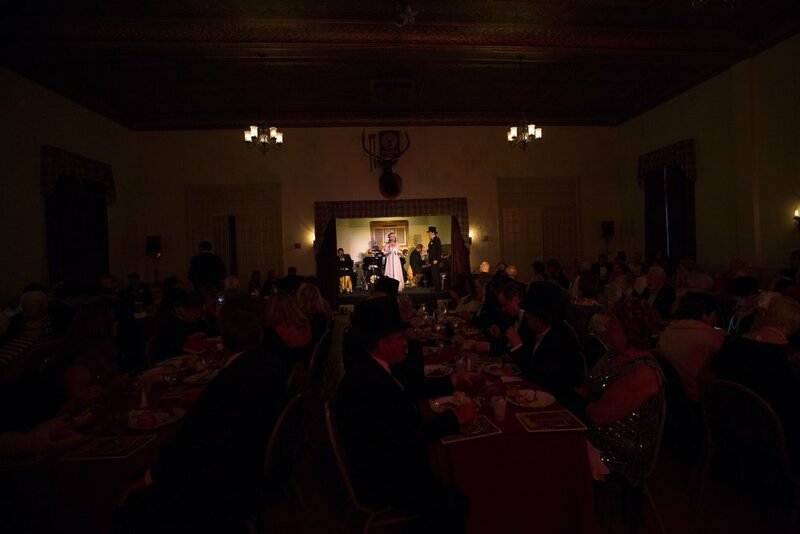 Enjoy a floor show while you dine on three course plated dinner from the menu of New York City's famous Rector’s Restaurant (where Ted made his debut 100 years ago!). Forget all your cares as a full service staff of waiters, doormen, elevator operators and coat check girls cater to your every whim. 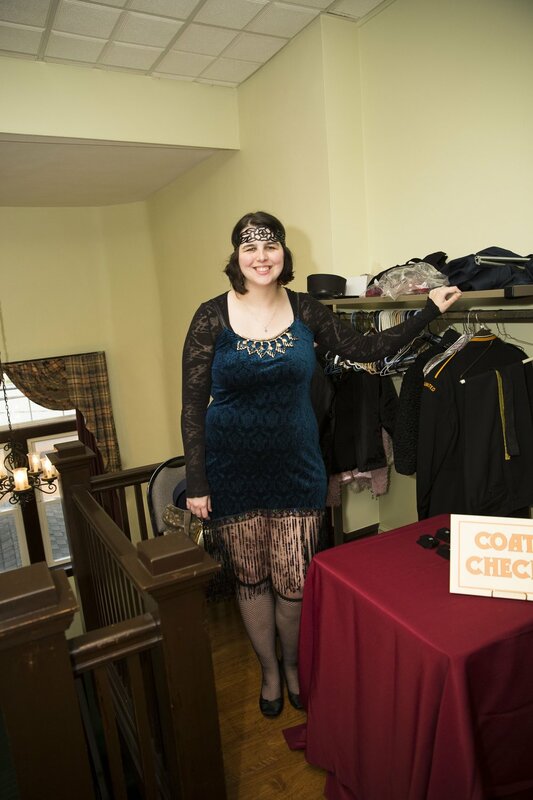 Dress in your 1920s best and come “Steppin' Out” to support the Ted Lewis Memorial Scholarship Fund and kick off our 40th Anniversary Year! 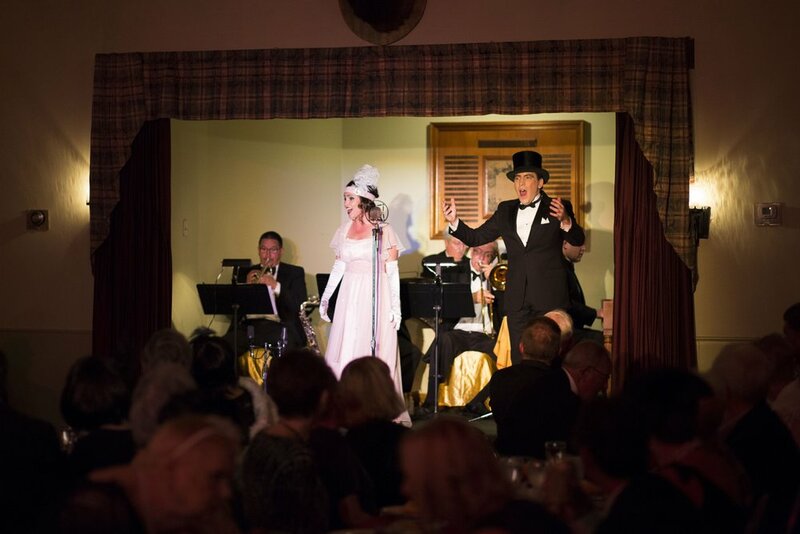 This gala commemorates the 100th anniversary of Ted Lewis’ debut at Rector’s Restaurant as leader and clarinetist of Earl Fuller’s Famous Jazz Band. Rector’s was founded in 1899 by restaurateur Charles Rector and was one of the most fashionable restaurants in New York City. In 1913, the restaurant moved to Broadway and 48th Street. Ted was playing with Arthur Stone’s Orchestra in January 1917 at the Café Au Cparice at 59th Street and Broadway when he was discovered by Paul Slavin and tapped to be leader of Earl Fuller’s newly formed Jazz Band. Earl Fuller was the musical contractor for the restaurant which boasted four different orchestras including Earl Fuller’s Rector Novelty Orchestra. 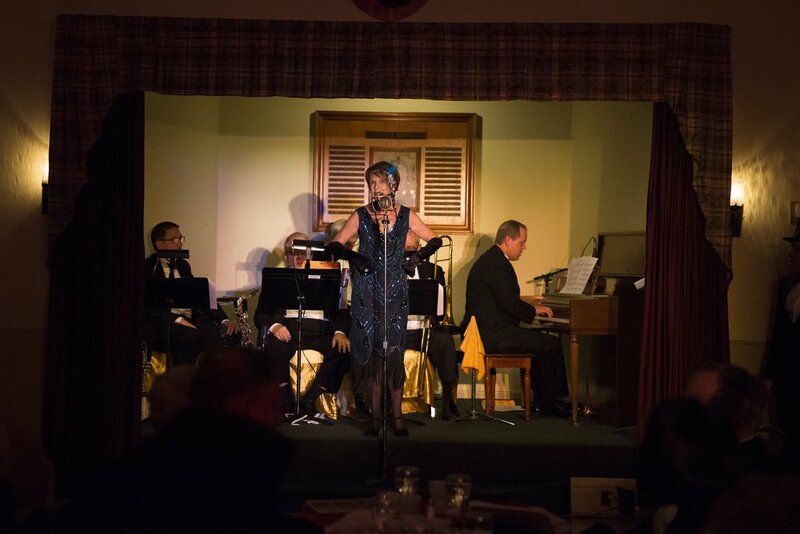 The impetus for the new jazz band was the debut of the Original Dixieland Jazz Band at competing Reisenwebers Café. The band, which came to New York from New Orleans, via Chicago, was an overnight sensation and recorded the first jazz record in April of 1917. Ted signed with Fuller on April 19th, 1917 for $90 a week (the contract is on display at the museum). Ted made his first recording on June 4, 1917 with the group for Victor. Ted got his old top hat from a cabbie “Mississippi” in front of Rectors and originated his catchphrase “Is Everybody Happy” at the restaurant. Ted stayed with Earl Fuller until early December 1918 when he left Rector’s to form his own band. Rector’s didn’t last much longer, closing in June 1918, a casualty of prohibition. A few years later, Ted opened his own club The Ted Lewis Club in November 1921 on 52nd Street and 7th Avenue. Ted had to contend with contractual touring obligations with the Greenwich Village Follies and vaudeville performances which kept him away from the club most of the time. 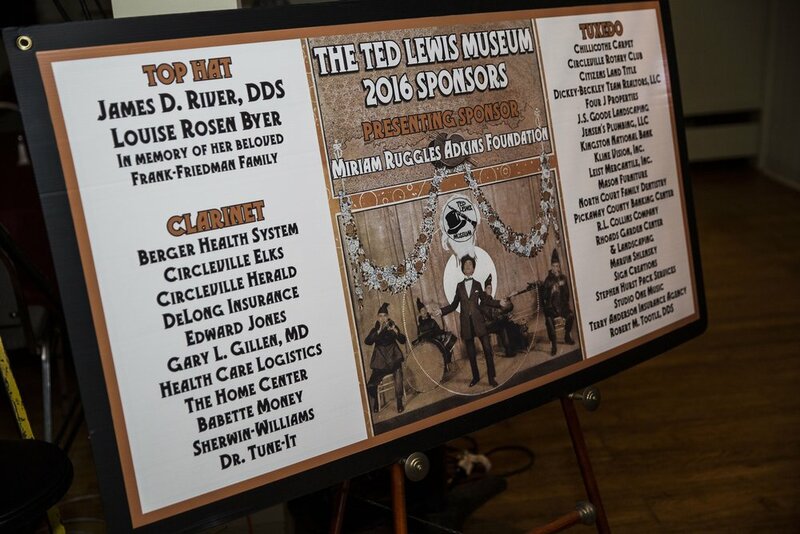 Even with a charismatic Master of Ceremonies, comedian and singer Lou Holtz, the success of the Ted Lewis Club was short-lived. The frequent absence of the main reason to visit-Ted Lewis-kept people away in droves and by June it has changed ownership. 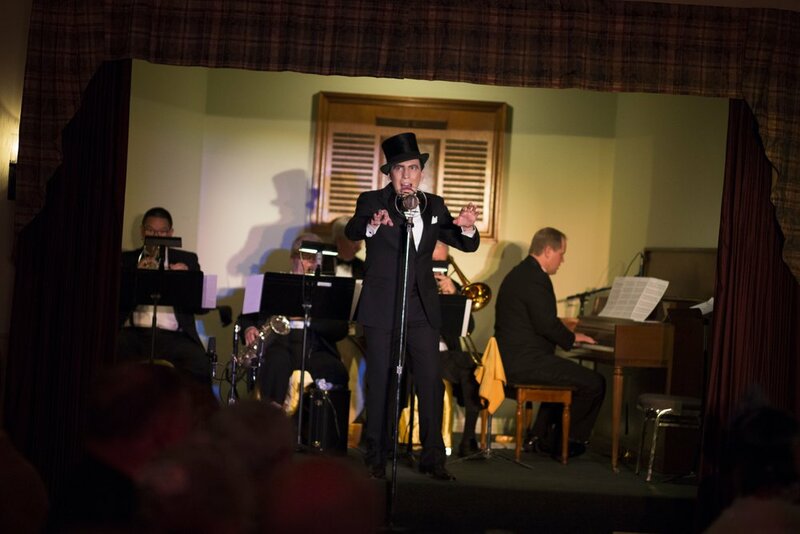 We invite you to enjoy yourself and relive the days when Ted Lewis was the reigning “King of Jazz” at Rector’s and The Ted Lewis Club!